The absence of a firm contract with India is the main obstacle to validation. Russia and India are in talks over future purchases of Russia’s Sukhoi Superjet-100 airliner, Deputy Industry and Trade Minister Aleksandr Potapov told Russian media in New Delhi in the wake of last week’s session of the Russian-Indian working group for modernization and industrial cooperation. 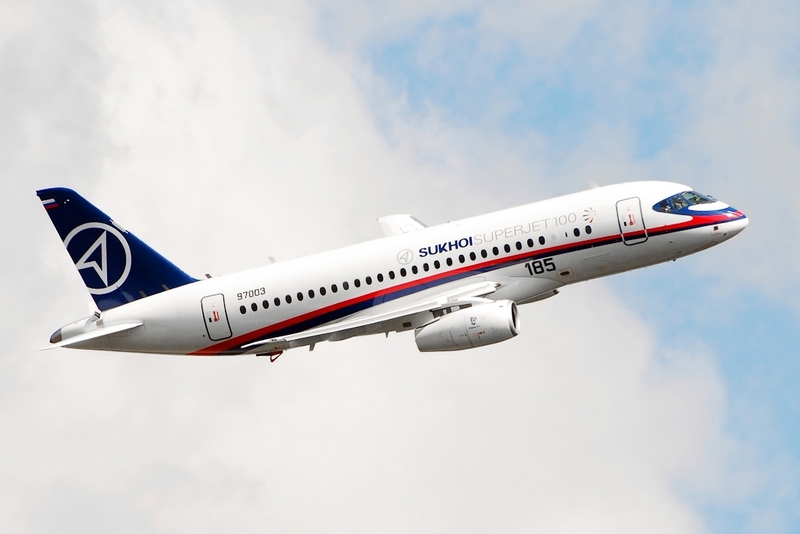 "Russia and India are conducting proactive negotiations with a number of Indian air carriers over marketing Russia’s Sukhoi Superjet-100 airliner. Also in progress are consultations with India’s aviation authorities regarding the validation of SSJ 100 certificates," he said. The absence of a firm contract with India is the main obstacle to validation, he added. "At the same time we believe that this is a very promising area of cooperation and we agreed with the Indian partner to push ahead with the work in the same direction," Potapov said. Production of India’s own regional plane may become an important joint project in civil aircraft building, he added. "At India’s request we’ve sent our proposals for launching a joint venture with India’s government-run aircraft-building corporation Hindustan Aeronautics Limited (HAL) to produce Ilyushin-114-300," Potapov said. The KPMG consultancy in the middle of last April published a report saying that India by 2020 will not only rise to the position of the world’s third largest aircraft market after the United States and India but also get ahead of them to rise to first place by 2030. Experts attribute the potential for such considerable increase to population growth prospects, air traffic’s growing popularity (at the moment no more than 0.5% of India’s population use air carriers’ services) and lower jet fuel prices. As he looked back on the August 18 meeting of the Russian-Indian working group for modernization and industrial cooperation, Potapov said new cooperation guidelines were identified that failed to enjoy proper attention before. "First and foremost this applies to civil shipbuilding, water purification, light industry and production of composite materials," Potapov said. He believes that India is a very promising market for Russia’s export-oriented projects to sell mining and metallurgical equipment. The Indian side expressed interest in establishing cooperation with Russian metallurgical companies for the implementation of new projects. "Lower import duties on products brought in for such projects might prove very helpful. The joint group for research into the conclusion of a free trade agreement within the Eurasian Economic Commission is in the process of considering the possibility of lifting tariff barriers. Russia’s Industry and Trade Ministry is involved in the commission’s work," Potapov said. India says it would like to cooperate with Russian research and educational establishments in advancing technologies for the exploration of deep mineral deposits, such as iron ore and coal. "We see good prospects for joint work with the Geological Survey of India in the field of knowledge exchange, development of joint projects and technologies and joint geological exploration. Russian partners for joint work along these lines are being identified," Potapov said. The working group also discussed the outlook for Indian companies' participation in ore mining in Russia’s Republic of Buryatia.